Enjoy the 12-Days with your Friends & Family! 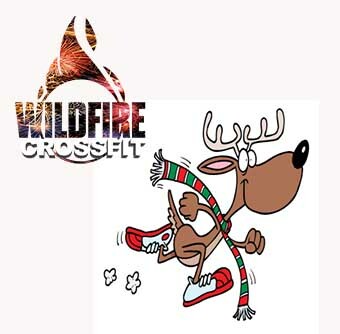 Have some FUN this Holiday with the 12-Days of Christmas – Bodyweight Style, from your friends at WildFire CrossFit. Pick the version that is right for you and 3-2-1-GO! If you did either of our versions in the gym yesterday, this will be a great, body weight, workout to get moving and get that blood flowing so you feel your BEST on Christmas!! There are 3 ways you can go through this workout. Rx - Just like the song, you will begin with the 1st Day. Then, do the 2nd day and Repeat the 1st day. Then, do the 3rd day and Repeat the 2nd day and the 1st day….you get the point. Scale - Set a 10-min, 15-min, or 20-min clock and do As Many Rounds As Possible. Go in order from 1-12, completing the reps that correspond to the day. Scale #2 - Do 2 Rounds For Time where you Stat at 1 and continue in order, then repeat. and HAVE SOME FUN with the 12 Days of Christmas! !